Widely recognised as the highest quality dry pack sacks you can buy. Two rows of external cargo loops also mean you can attached all sorts of additional gear to them like your water bladders, wet gear, tarps and medical kits. 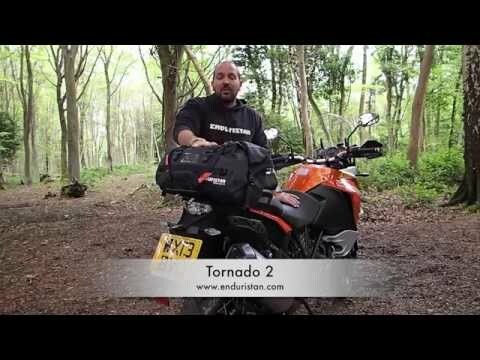 All Tornado 2 pack sacks open from the top not the sides, so the contents can be easily accessed whilst still attached to the bike. This also gives you more room to find things inside the bag. All Tornados feature the Enduristan trademark red inner lining for high visibility. They have a soft grip handle and are compatible with the Enduristan Deluxe shoulder strap available separately. 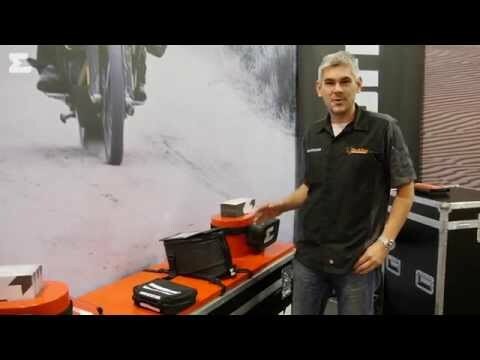 Fits directly to your pillion seat, rear fender, luggage rack, Motonaut soft luggage rack, Pannier, or can be combined with other Tornado Pack Sacks using the supplied loops and fixings. Tornado 2 Small, Medium, Large and Extra Large all in stock.